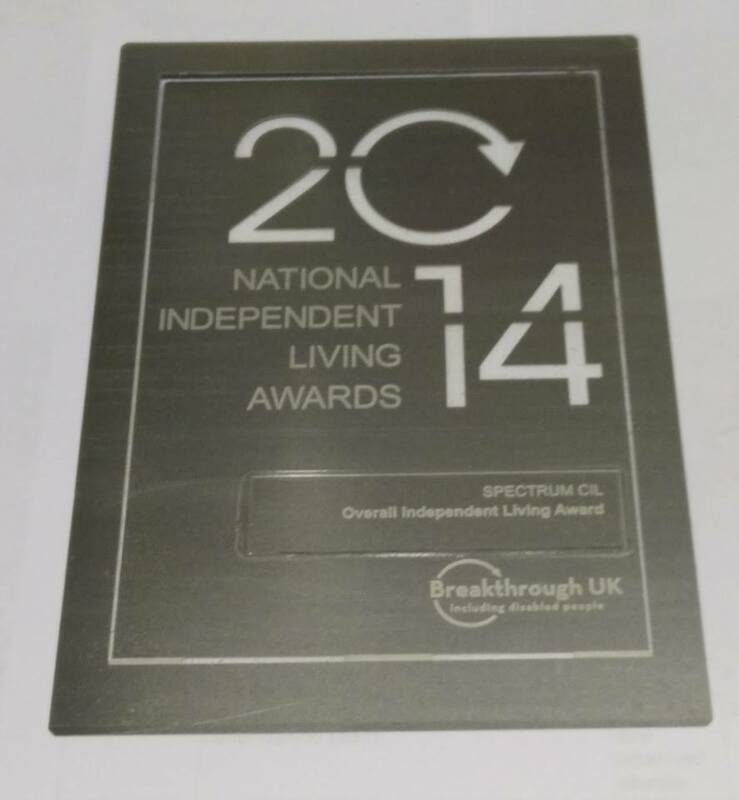 SPECTRUM Centre for Independent Living has won the Overall Independent Living Initiative award at the 2014 Independent Living Awards run by Breakthrough UK. We need to recognise the important role of Disabled People’s Organisations (DPO) in 2014, a time when independence for many is under threat. Over the last 30 years SPECTRUM CIL have played a pivotal role in delivering Independent Living opportunities and influencing social policy. They have grown and developed whilst always keeping true to their values and objectives. For more information about the awards, check out the Breakthrough UK awards page.